Many of our ancestors fled the countries of their birth to avoid having to fight in the armies of hated rulers. On this safer shore, they and their children were twice called upon to defend the values of their new home, and they were proud to do so. These are the stories of the boys who gave their lives for the cause of freedom. Only one of these boys was born in the U.S. While many of the families in Homestead’s Jewish community saw their boys go off to war — 43 went in all — none of the boys who died grew up there, though half had relatives in Homestead, married siblings. They came to Homestead to work. Inducted: May 1917, Ridgeway, PA? Unfortunately alphabetical order dictates that I begin this post with the one soldier I cannot identify. He did not turn up in my genealogical research. A military historian named Michael Moskow, who has spent years researching Jewish American servicemen, assisted me with this research. He has collected an enormous database of soldiers’ names and service records. He provided much of the military detail you’ll see in the entries below. Unfortunately, he wasn’t able to find Oscar, either. Gross’ was a clothing store at this location during this time period. Perhaps Oscar Cohen was a clerk here? As the correspondence below indicates, it appears that even in 1920 Oscar could not be identified, which would explain why his name never appeared in the various references Michael and I consulted. Interestingly, I found a draft card for an Aaron Cohen who lived in Homestead and clerked for J.W. 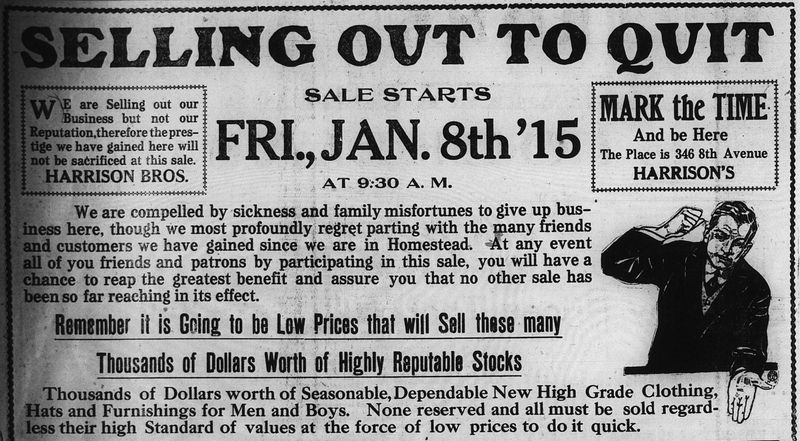 Gross & Co., which upon further investigation appears to be the very same clothing store Lasday mentioned. 1 All the other geographical details align, too. 2 I feel confident that this is the same man, imperfectly recollected and thus imperfectly honored. Our Oscar Coen, I believe, was hit in the forehead by shrapnel during the Battle of the Marne and died five months shy of his 20th birthday. He should have never been in the war at that age, but he lied on his draft card to make himself eligible. He may not have been well known to the Homesteaders amongst whom he worked, but his family had him disinterred from France and reburied close to them. Corp. Co. H 112th U.S. Inf. Joseph’s older brother, Harry, moved to Homestead by 1905, perhaps earlier. 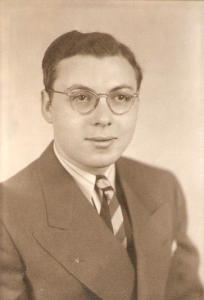 He worked in the Homestead steel mill for decades and was a life-long member of the shul. Joseph, who grew up in Pottstown, PA, came to Homestead by 1916. 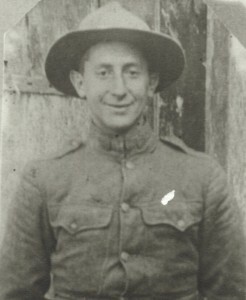 He lived with his brother, joined the Loyal Order of Moose and the Young Men’s Hebrew Association, and clerked at shul member Leon Trau’s store until he was inducted in April 1918 and sent to Camp Lee. The following month he was sent overseas. He died four months later at the age of 23 on the first day of the Meuse-Argonne Offensive, the largest American-run offensive of the war. Joseph’s matzevah. (source). Click to enlarge. Louis Glucksman was born in Warsaw in 1895. He immigrated by himself in 1913 at age 18. At some point he moved to West Homestead, where he worked for Mesta Machine Company. Besides employment, I don’t know what brought him to Homestead. I can’t figure out a family connection (he boarded with other single men, probably neither of whom was Jewish, which I suspect he wouldn’t have done if he had local relatives). He joined a social club in Pittsburgh called the Maxsico Club (for the Maxwell Signal Corps, to which they also belonged), which went camping and threw dances. 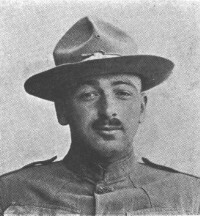 Inducted in September 1917, five months after the U.S. entered the war, he joined fourteen of the fifteen members of his club who saw military service. Louis spent eight months in training, during which he was promoted three times. He went overseas in May 1918 (on the same date as Joseph Feldman, interestingly) and was killed five months later at the age of twenty-three. In May 1919 The Pittsburgh Sunday Post still listed him as missing; I suspect he remained so. His social club reported in the Pittsburgh Gazette Times in August that he was shot by machine gun snipers in the Meuse-Argonne offensive. He was was the only one member not to come home. His next of kin was his father back in Warsaw. Poland in general and Warsaw in particular fared badly during the war. There were a couple major battles there, and even after WWI ended, the Polish-Soviet War broke out, continuing the violence. Samuel was born in Linkuva, Russia and arrived in the U.S. in February 1907 at age 16. He came to Homestead in April 1914 from elsewhere in Allegheny County to open a store, Harrison Brothers, with his brother, Benjamin. Even though they were newcomers to the community and never joined the synagogue, one or both gave sizable contributions, including money for a stained glass window in the new building, totaling $55 ($1,300 today). Samuel made friends and became active with the YMHA, joining its basketball team and likely attending its dances. Tragedy struck when Benjamin’s wife, Bessie, died in November, leaving him alone with three young daughters. 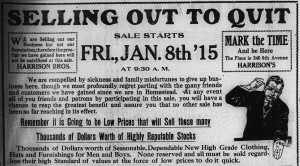 “The firm in its short stay in Homestead has gained the confidence of the buying public and was building up a nice business, when sickness and death in the family compelled them to sell out their stock and quick,” wrote the town’s paper on March 26, 1915. Days later they closed the store and left Homestead. 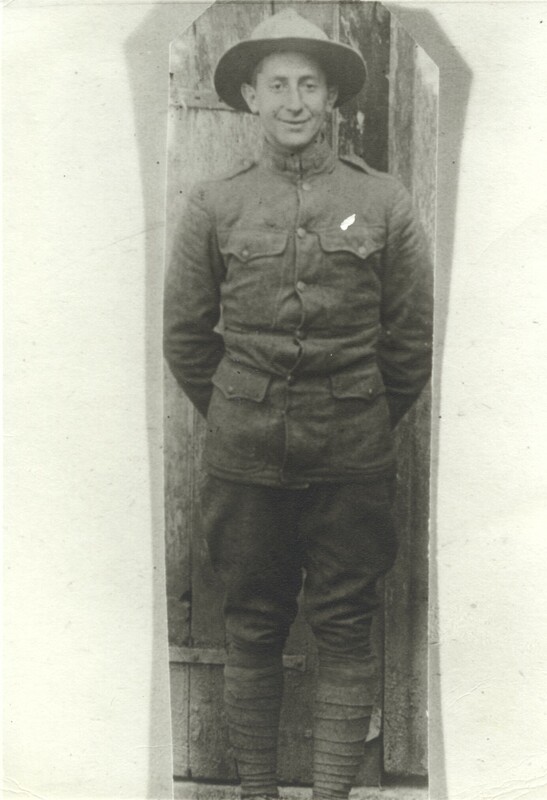 Samuel registered for the draft in June 1917 from Cresson, PA (between Johnstown and Altoona), where he was a clerk in a department store, and was inducted the following February in Ebensburg, PA, 8 miles away. 3) At training camp he reunited with Louis Lasday, his friend from the YMHA, who wrote to the group to say they were in the same company. He was immediately transferred to one of our own hospitals where he received the proper medical attention. In December he was being sent home and infections set in and he was transferred to Base Hospital Number 13 in France. On the 22nd of December 1 letter from him was received where he stated that he received the poorest kind of treatment while being a prisonor (sic) and if he would have received one-half of the attention given him in our own hospitals he felt sure he would have been a well man, but his recovery was doubtful and we should not be surprised at anything that may happen. Though he left Homestead two years before the U.S. even entered the war, the YMHA remembered him and included his name on their war memorial plaque. 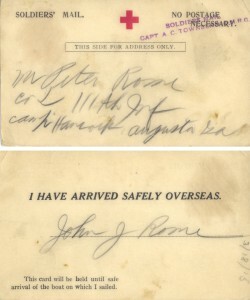 John Jacob Rome was born in Russia and immigrated to the U.S. as a toddler. At the time he joined the army, he lived in Pittsburgh, but conducted his own fruit and produce market in Homestead, possibly with his brother-in-law, Max Adlersburg. (Max and John’s sister Jennie had been living in Homestead since at least 1908.) He was a member of the Y.M.H.A., the Irene Kaufman settlement, B’nai B’rith, and the Odd Fellows of Pittsburgh. 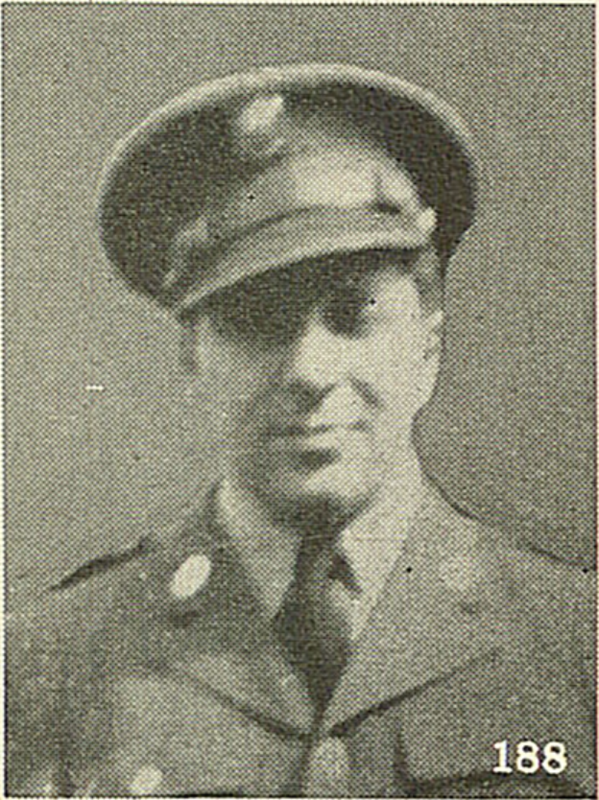 John Jacob Rome (source: MFF #4898, Heinz History Center). Click to enlarge. he received a very serious gunshot wound in the back and chest. The doctors and nurses who gave him all possible care all speak of his wonderful spirit and his eagerness to recover in order to get to the front. “Such a nice boy” and “a splendid soldier” to quote their own words. His injuries were too grave and after a plucky fight he died at 4:45 on October 2, 1918. He did not himself realize the seriousness of his condition and felt no apprehension as to the outcome. He was conscious to the very end which came suddenly. Initially he was buried in France with full military honors. He was 25. At the same time his younger brother, Peter, who had also been fighting overseas, was recovering after having been severely gassed and hit by shrapnel during the Battle of Vesle River. 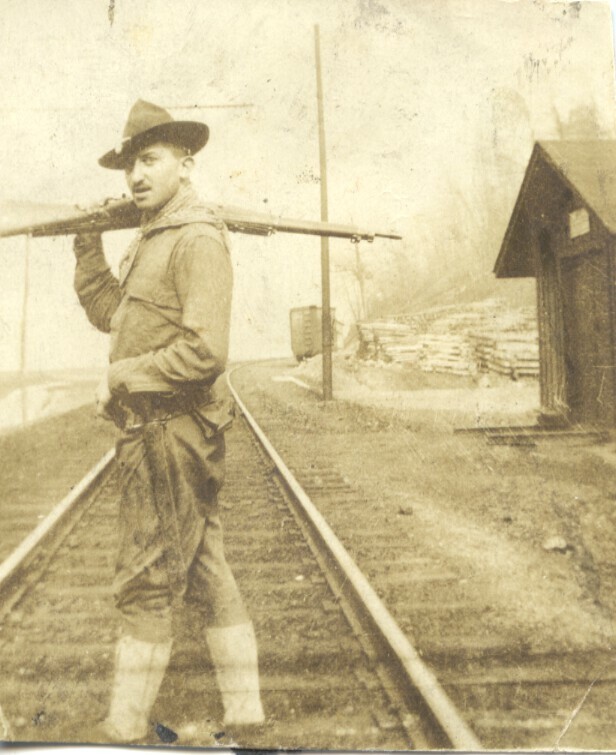 Peter has his own fascinating military history; at 17 he joined the Duquesne Grays and served on the Mexican border 1916-7 during the Punitive Expedition to find Pancho Villa! From there he served in the Pennsylvania National Guard until he was drafted. After the war ended, he returned to Homestead, but soon made plans to return to France in November 1920, claiming on his passport application that he intended to marry. Actually, he later explained, “I brought [my brother] home to be buried.” (The Alliance Review, 4/16/1968). 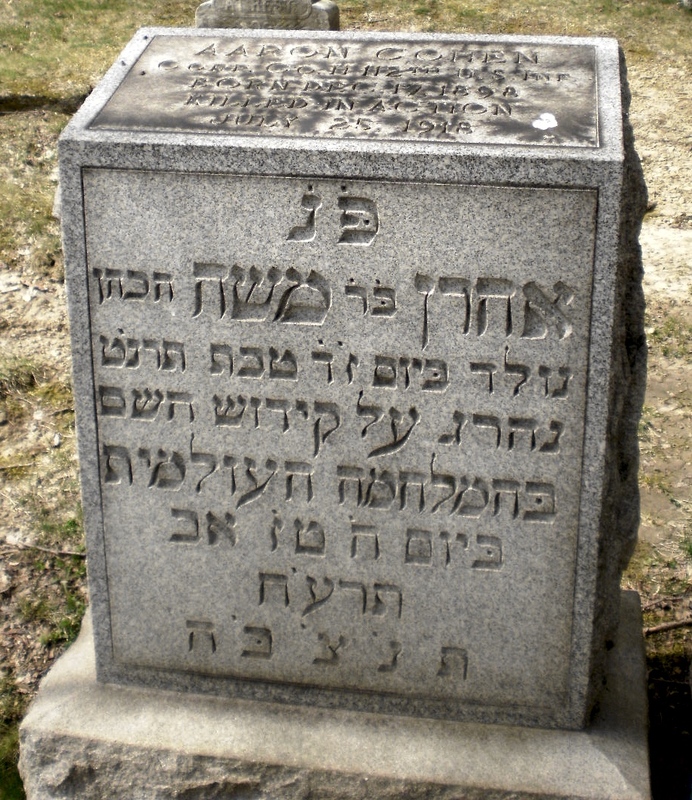 On August 4, 1921, John was buried from the Irene Kaufmann Settlement. 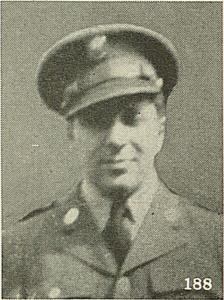 The services were led by Rabbi Ashinsky, the closest thing Pittsburgh had to a chief rabbi in those days, and the American Legion took part. The boys who were killed during WWII came from families that had been active in the community for decades. Even when the boys themselves weren’t from Homestead, it is clear that they were well-known in the community from their visits to their relatives. The community sent 133 boys in total to fight. Jerome’s father, Sam, grew up in Homestead after immigrating to Homestead from Russia with his family when he was just 3. After marrying in 1921, he moved to Pittsburgh, where Jerome was born and raised. He graduated in 1943 from Peabody High School, where he was secretary-treasurer of his homeroom, on the cross country and volleyball teams, and in the history and motor traffic clubs. He intended to become a pharmacist, but a few months after graduation, he was inducted into the army. After four months of training, he was sent overseas where he fought for nearly a year before dying inn the Philippines early in the Battle of Luzon. He wasn’t yet 20. 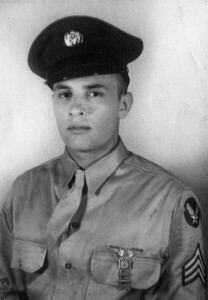 His brother, Sanford, and his uncle, Paul Carpe, fought in WWII as well. Though his father was a member of the shul for just a short period in the 30s (he lived in Pittsburgh, after all) three generations of his family — his grandmother & great-aunt, aunts & uncles, and cousins — were all active in the community when he died. His uncles Paul and Jacob Carpe, who raised their families in Homestead Park, served terms on the shul‘s board starting in the ’30s. I believe Jerome is buried in Los Angeles, where his parents moved by the early 1950s. Daniel Coltin was born to Bessie and Louis Coltin, who had immigrated from Russia around 1912. He grew up in Duquesne. In the late 1930s his older sister, Yetta and her new husband, Bernard Stein, moved to Homestead Park, convenient to the hotel Bernie and his father ran on Eighth Avenue. Meanwhile, Daniel attended college and worked as a retail manager. It’s likely he spent time in Homestead visiting his sister and his niece, who was born a couple years before he was inducted into the army in 1942. 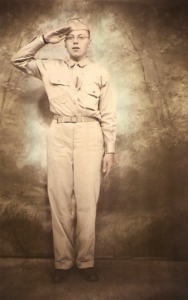 He served stateside for a couple years before he was deployed a couple months after D-Day. He died in France a few months later at the age of 22. 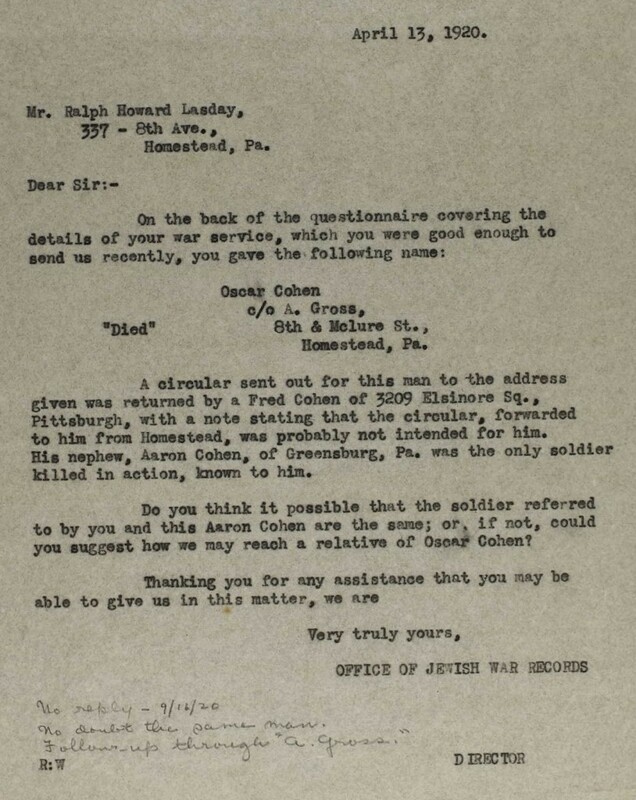 His body was returned to the U.S. in August 1948 for burial in the Beth Shalom Cemetery outside of Pittsburgh. 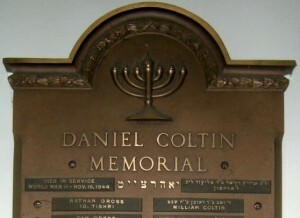 Daniel Coltin memorial in Poale Zedeck. Click to see the whole image. A memorial to Daniel is on display at Poale Zedeck in Squirrel Hill. Yetta’s son was named for him. A large group of Milton’s relatives, including parents, Belle Averbach and Louis Jackson (originally Yachnowicz), and maternal grandparents, Sam and Rachel Averbach, came to Homestead by 1910. (Through his grandmother’s sister he is related to the Zukerman, Burechson, Glick, and Steiner families.) Shoshana Averbach, Milton’s first cousin once removed, sent me a wonderful letter by Milton’s aunt, Blanche Averbach Levine, about how the whole family came over in stages. She recalls that in 1914 when her twin sister Belle was about 15, she “[threw] an eye” on Louis Jackson. When he needed a new place to board, Belle arranged for Louis to move in with them! “Boy did he get treated by the girls with tea + cake every nite. He didn’t have to pay for that,” Blanche remembered. “Everybody liked Louis Jackson. Before you know it he was like one in the family…Louis was smart. He was nice to all of us + we didn’t know which one he [favored]” of the three girls in the house. When Belle was 16, Louis asked Belle’s father for permission to get engaged; they married the following year. Milton was born in Braddock in 1923, the third of their four children, but moved to Homestead when he was very young. He graduated from Homestead High School, where he played violin in the school orchestra. He was surrounded by many relatives active in the shul, especially his mother, father, and grandfather. 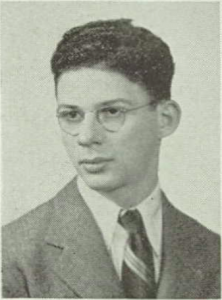 He was confirmed in 1939 and became president of Homestead’s AZA chapter. He worked as a foreman at the steel mill before he was inducted in October 1942. Tragically, Milton died after the war in Europe ended. 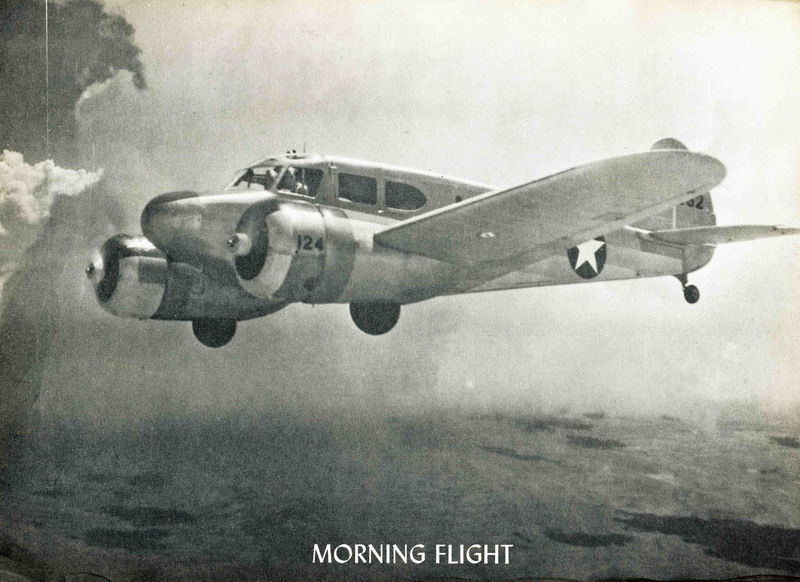 An accident report provided to me by Milton’s cousin’s grandson, Keith Jackson, indicates that Milton was serving as engineer on a “routine inspection tour of 15th AF targets.” Two mistakes led the pilot to crash into the side of a mountain. First, the navigator “led pilot into a blind canyon and did not discover his mistake until too late to turn around. Second, “the pilot was instructed to fly from Bolsano to Innsbruck at 8000′. By pilot’s statement during interview, he was flying between 4000′ and 5000′ when he found he couldn’t turn around. At 8000′, he would have had plenty of safety margin.” The pilot had warned the crew, but not the passengers, of the circumstances. Of the five crew, only the pilot and co-pilot survived. Of the fifteen passengers, only two survived. His parents moved to Freehold, NJ, near where Belle’s twin sister, Blanche, was living. The Averbach yahrzeit tablet was dedicated in the late 40s in memory of him, his maternal grandparents, and his first cousin, Betty Ann Averbach. Ralph’s parents, Abraham Markowitz and Bella Jacobowitz, were both born and raised in Braddock, making Ralph the one only of these boys whose parents were both born in the United States. (His grandparents were Hungarian immigrants who came in the early 1880s, at the beginning of a wave of Hungarian immigration to the United States.) Abraham completed high school and college at Pitt, becoming a pharmacist and opening drug stores in Braddock, Rankin, and East Pittsburgh. He married Bella around 1914, and they had three boys who survived childhood, of whom Ralph was the oldest. In 1929 when Ralph was 13, his mother died of pneumonia. His younger brother Edgar, only 15 months old at the time, said that afterwards, “Our family broke up. My older brother [Ralph] stayed with my grandparents in Braddock, and my other brother Arthur,” age two-and-a-half, “and myself went with my grandmother and my aunt [Molly] in Munhall,” who were already raising their older cousins, Helen and Leona Kline. Ralph’s father also moved in with them. Edgar recalled that a few years later Ralph quit high school and worked first for his father, then for an ice cream company, and finally for the Homestead mill before going into the army shortly after Pearl Harbor. 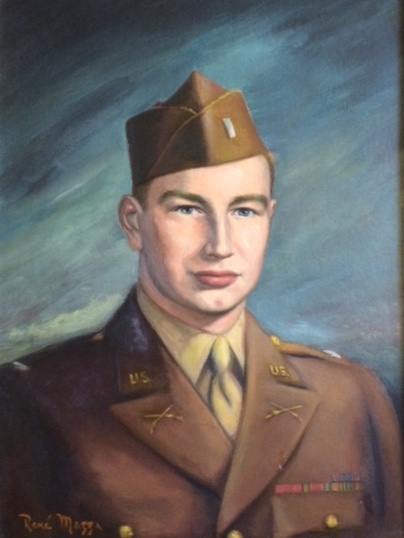 Ralph volunteered for the Army on 20 Feb 1942. After training we feel it was likely that he was assigned to A Company 116th Infantry before it shipped out for England in September 1942. He was certainly overseas before his maternal grandmother died in January 1943. He trained with A Company for the planned amphibious assault on Hitler’s “fortress Europe”. The attack took place on 6 June 1944 and he was killed in action with many other in his company on that day. 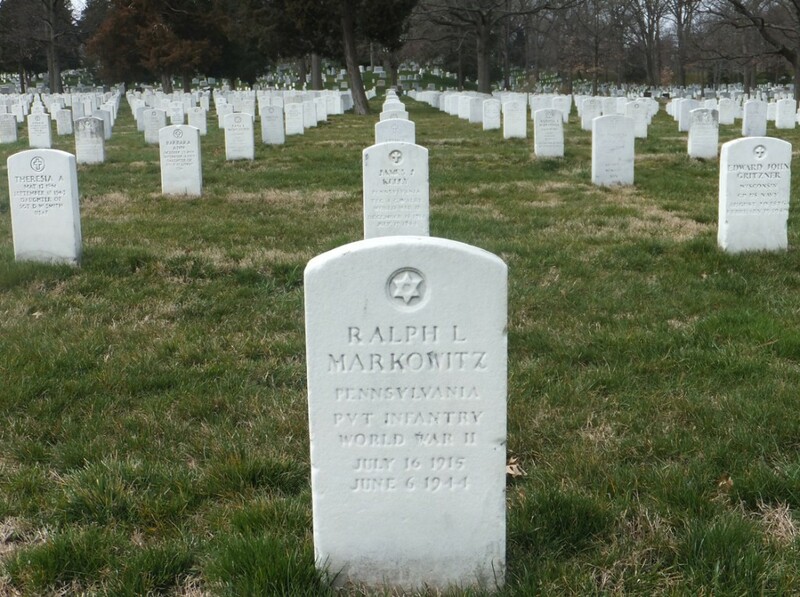 PVT Markowitz was repatriated in 1948 and re-interred in Arlington National Cemetery in Arlington, Virginia. Louis Newman was the son of David Newman and Elizabeth Markowitz. David was born in Hungary and immigrated when he was seven with his parents, settling in Braddock. Elizabeth was also born in Hungary and came over with her parents and siblings when she was 10. She was the oldest of an eventual nine siblings, all of whom grew up in Homestead. Her younger brother, Robert, became well known in town as a high school teacher and assistant football coach, as well as the recording secretary of the synagogue. After she and David married, they lived in a number of different towns in Western PA, where he ran stores. Louis was the second of their three children. 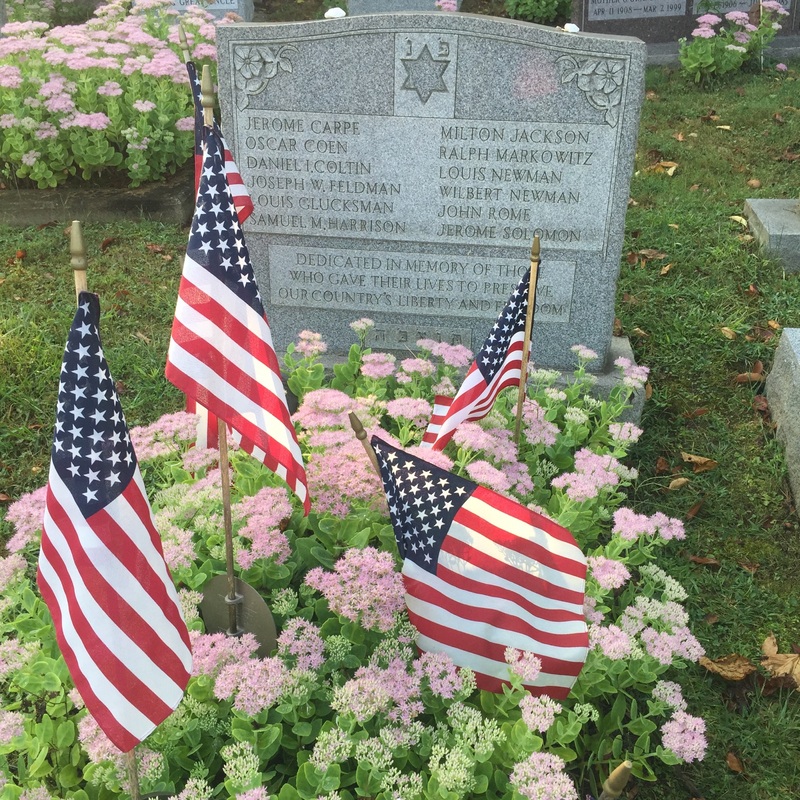 In 1929 when he was nine, his mother died of pneumonia in Uniontown and was buried in Homestead Hebrew Cemetery, where her father, Benjamin, was an active member and would later serve a term on the Board of Directors. Killed, with Aviation Cadet Hugh F. Ness, in night-time crash of Cessna AT-17B “Bobcat” training plane 42-39027, on January 28, 1943. A funeral service was held for him in Weirton the morning of February 3, and his father accompanied his body to Homestead where there was a service in the synagogue at 2:30 PM. According to the shul, he was “the first casualty of Homestead, and the first Jewish boy of the Homestead district who has fallen in this war.” 6 He was 22. After marrying, Willie’s parents, Regina and Louis Newman, “came to Homestead and opened up a business on Fourth Avenue below the tracks in Homestead,” recalled Willie’s younger brother, Harold. It was “a mill store, a men’s store,” that sold “clothes and cigarettes, tobacco and all that other stuff that the mill workers normally used.” Harold didn’t like the neighborhood. Harold at one point recalls that there was a fire, and he hoped that they would have to move. I don’t know about this incident, but I came across a newspaper article, “Blast in Mill Injures Four at Homestead. Hundreds Flee Molten Metal Explosion at Plant. Wide Area is Shaken,” referring to an accident on July 21, 1931 when molten slag was poured into a large cinder pit filled with cold rainwater. “The explosion occurred 150 feet from the main entrance to the plant at Fourth avenue and City Farm lane, Homestead, and shattered windows in buildings within a two-block radius of the entrance…Four large plate glass windows in the store of Louis Newman, 540 Fourth avenue, were blown in, but Newman, his wife, Regina, and their sons, Harold, 3, and William (sic), 8, escaped injury.” 8 What a childhood! In 1941 when the government announced plans to raze the neighborhood to expand the steel mill, the family bought a grocery store in Homeville (in West Mifflin near the cemetery). By this point Willie had graduated from high school. He had been the star singer in the High Holiday choir, was confirmed in 1939, and became active in the Homestead AZA, of which he was a charter member and religious chair. He was the only one of these boys who had joined the congregation. Willie was a quiet boy, a little shy, but friendly and warm; he graduated from high school in 1941, and almost immediately worked in the offices of U. S. Steel Co., then was drafted into the army, with the intention of going to college when he was discharged. I remember seeing him on furloughs in his uniform, of which he was so proud. My brother Wilbert was a very loving young man, and I have many letters that he wrote to me and the family. He loved music and played a coronet very well and wanted to get into the army band, but could not. But now I am here, making the visit that my grandfather so longed to make. I felt like I had closed a circle. I said to him, “Please know that your uncle tried very hard to find you, but I assume you know that by now, as you have met up in the afterlife.” I can picture my grandfather, with that twinkle in his eye, putting his hand on Willie’s shoulder. I know this matter gave him no rest, but now the visit has finally taken place. I am here on behalf of Grandpa and the entire family. Willie, we salute you. Jerome Solomon — Jerry to his family — was born in Homestead in 1915. He was the second of four children born to Harry Solomon, who immigrated to Homestead around 1903, and Hannah Liner (Lenerovitz), who came shortly thereafter. They were married by 1912, around the time Harry joined the synagogue. He served a term on the Board of Directors in 1925. The family moved to Munhall a few years later. 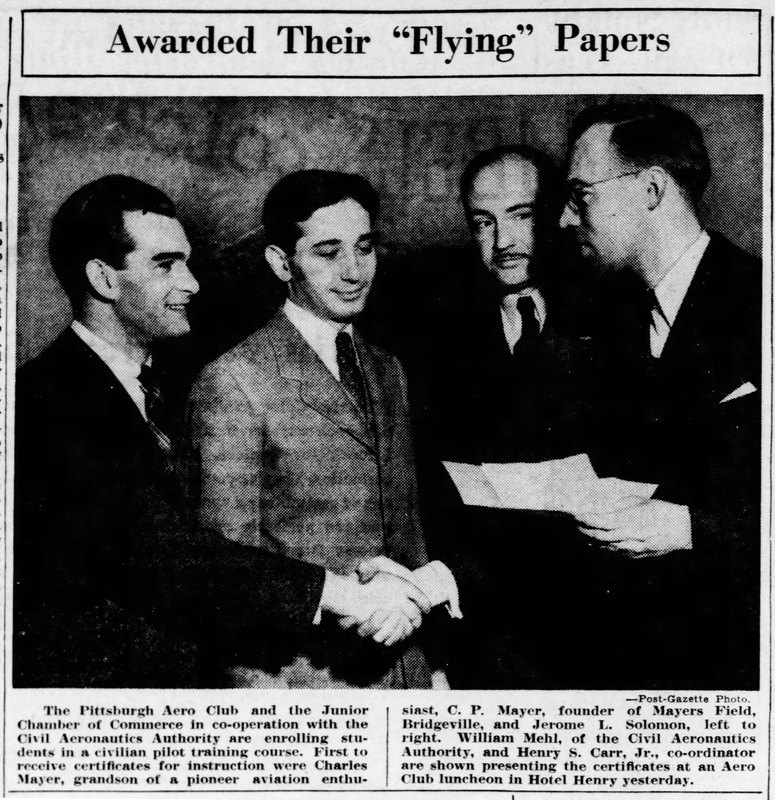 Jerome was confirmed at the shul in 1930 and graduated from Munhall High before going on to Pitt. In February 1941, months before Pearl Harbor, he was one of the first two students to receive a certificate from a local civilian pilot training course. 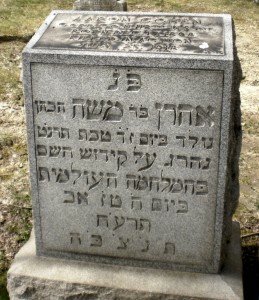 Jerome Solomon’s collective grave marker from Mt. 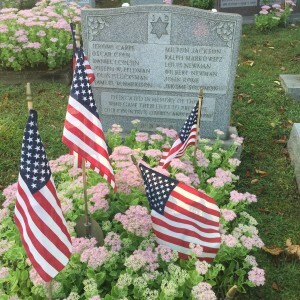 Beverly Veteran’s Cemetery. Picture courtesy of Michael Moskow. Jerome’s younger brother, Sidney, also enlisted in the army. 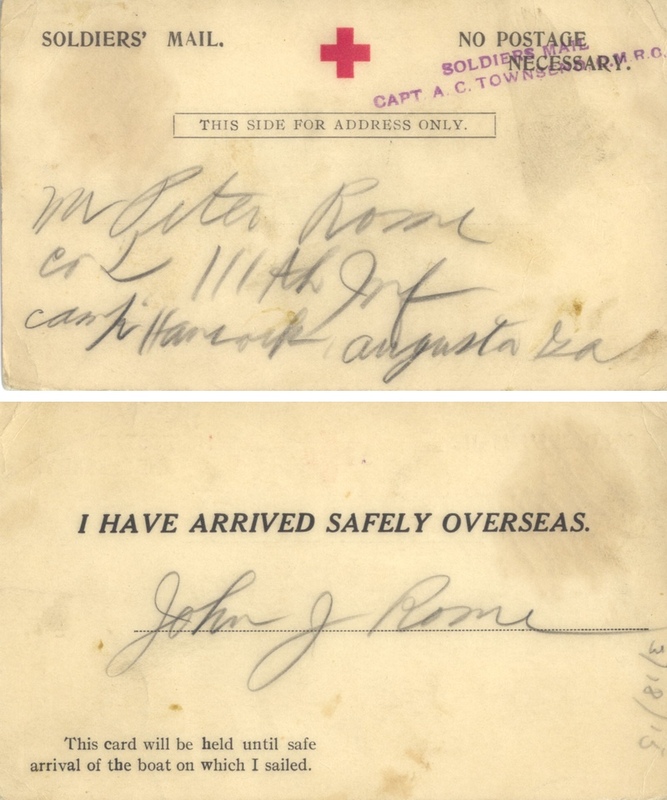 He was sent overseas four months after his brother died and returned home in December 1945. The family remained in Munhall. Jerome’s other siblings, Florence Segall and Herbert, raised their families in Homestead Park; both Florence and Herbert’s wife were active in the sisterhood. Harry became treasurer in the late 50s or early 60s, serving alongside Louis Coltin, until his death in 1963. He took the lead in raising tsedakah for the community. Herbert’s son was named for Jerome. Michael alerted me to the existence of a website called The Solomon Crew, created by Enrico Barbina, a local historian who spent more than ten years researching the crash, which took place near his home. 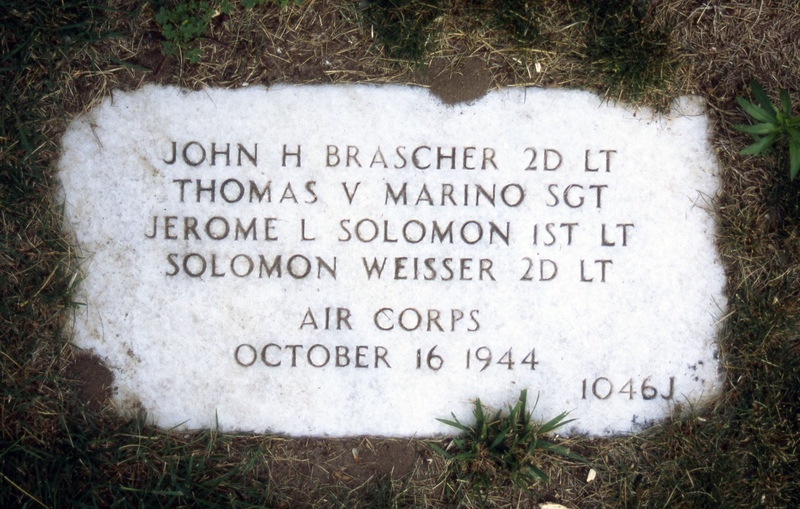 This website is intended to remember nine American airmen, among the many who flew secret air missions during World War II, who lost their young lives when their aircraft, trying to bring some highly needed supplies to Italian partisans in the Friuli (Italy) region, crashed on the slopes of Mount Canin on the night of 16 October 1944. At about 16:00 the crew of B-24 Liberator 42-51778 W from the 885th Bombardment Squadron, commanded by Lt. Jerome L. Solomon, had gathered for the customary briefing on their next mission. They were assigned special operation No. 89: the target was the BEAVERTON Dropping Zone in the Udine area, North Italy. It was a long trip, but the crew was experienced and had already flown several missions to that region. On that evening, at about 22:00, over the BEAVERTON dropping zone an airplane drone was heard but nothing could not be sighted. The heavy bomber had covered a route of some 800 miles (1,290 kilometers). It is very reasonable to assume that the Liberator missed its target during the low-altitude approach to Beaverton, going over ten miles (fifteen kilometers) further north as the crow flies and coming up to the area of Mount Canin where, due to very bad weather and very low visibility, it was unable to avoid the collision with rocks. The fact that no distress radio call was received from the crew testifies that the accident was sudden and unexpected. The website is amazing and detailed, but it is only the beginning of Barbina’s work. 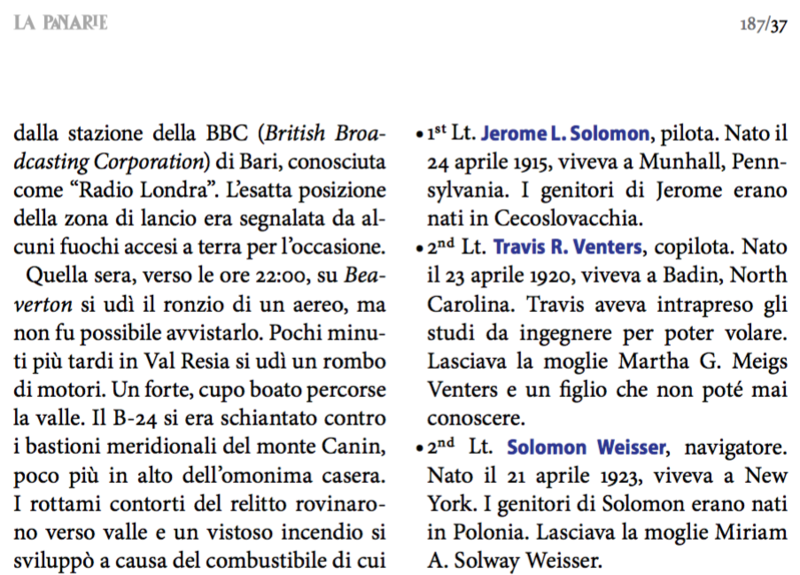 He published an article about his research in a local magazine, La Panarie, and in March of this year he organized an event in a bookshop near the site of the crash to tell the story of Lt. Solomon and his crew. He hopes to arrange an event later this year to commemorate the crew on the spot of the accident. It overwhelms me to think of this faraway stranger and his neighbors so devoted to remembering a nice Jewish boy from the Homestead Hebrew Congregation and his crew mates. 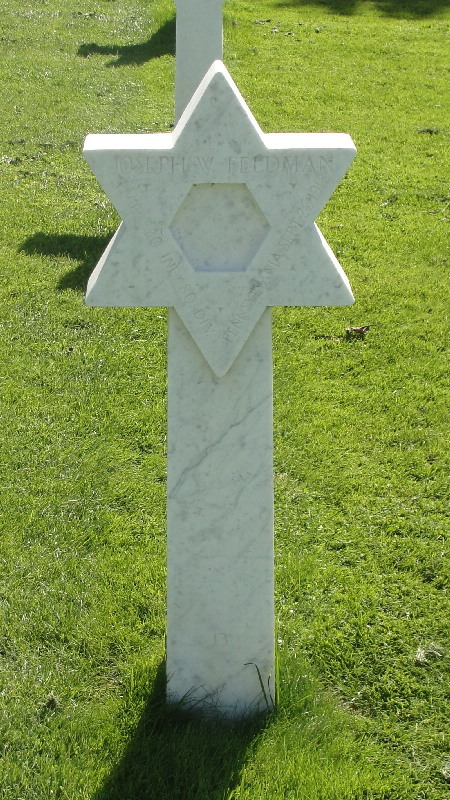 The war memorial in the Homestead Hebrew Cemetery (photographed September 2015). If you can add to any of these stories, please contact me. I know these twelve stories are only one piece of our community’s contribution to the war effort. I hope in the future to be able share veterans’ stories. Very well done, Tammy. Thank you. I think that my earlier comments got lost. If so, I will try to repeat what I said. Many thanks for the article on “The Boys Who Never Came Home” — as well as the other stories of Homestead Jewry. I have found them to be most interesting, educagtionsal and, sometime, directly related to some of my own family. I have an abiding interest in the Pittsburgh/Homestead/Beaver Falls/Kittanning area since much of my own family had their roots there. Names such as Hiedovitz (and variant spellings), Mervis/Mirvis, Rom, Friedlander, Jacobson, Wilkofsky (Wilkoff), Sissenwine (and Sissenwain, Zisenwine and other variations) are all of interest. Please keep the stories, newsletter, etc. coming. I wonder if the Mervis names your referencing are related to Ralph Mervis/Mollye Bloom Mervis (wife)? I know Mollye Bloom was good friends with Florence Segall and met Ralph at a Gold Star Dinner honoring her brother Jerome and others who had given thier lives for our Country. On this Memorial Day thank you for bringing to life the stories of these brave men and reminding us that we owe them and their families our deepest thanks for helping us to continue to lead our lives as Americans and Jews. I wonder whether Louis Glucksman was related to my grandfather, who was a member of the Gluchsman Metal Works family, and moved to Allegheny City and then brought his family to Pittsburgh around the turn of the 1900s. The company had a base in Wadowice, but Glucksmans and Gluchsmans and Glickmans all over the world have been metal workers, as was my grandfather, Adolph Glickman. Thank you so much for documenting these wonderful young man who gave their lives for our country. My uncle Louis Newman was one of the men that you wrote of and gave me information that I had not had previously thank you so much. My first cousin was Milton Jackson. The choir picture includes my uncle Joe Averbach. Thank you. The Homestead Rodef Shalom Congregation Bomber? !